Claude Puel clearly admitted he was furious over Leicester’s sloppy start in a 1-0 defeat to Manchester United. Rashford’s goal ninth-minute goal meant that the Foxes have conceded in the opening 15 minutes in their last five games in all competitions. Despite reckoning his side’s display deserved at least a point, the French gaffer bemoaned the team’s poor start. 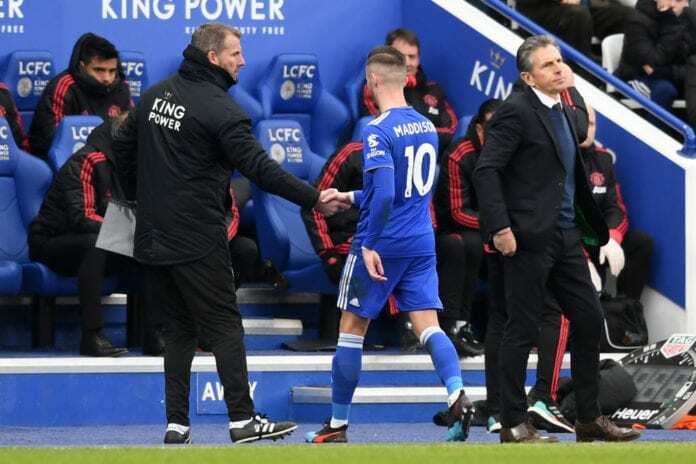 “When you see all the chances and half-chances we had, we deserve a minimum of a draw,” Puel told Sky Sports. “I think it’s not a fair result but I’m angry about our poor performance at the beginning of the game. To concede another goal early, to have to chase the game is always difficult. “I don’t understand sometimes, it’s crazy. At the beginning, we don’t believe enough in our quality because after when we play, we play forward with good intention and can hurt a team like United. “It’s a big disappointment for the players, the staff and the fans because we found a good quality in the second half, a lot of chances to come back and we have to seek a different explanation in our poor performance at the beginning of games. Up next for the Foxes is a cagey away trip to high-flying Spurs at Wembley. Puel would be hoping for an improved start in that encounter.